Get to know the Salem Area Sustainable Opportunity Development Center - also known as the SOD Center. SOD has been a part of economic development in the Salem, Ohio area for several years and looks forward to helping create a bright future for the entire region of Columbiana County. The mission of the Sustainable Opportunity Development Center is to support business attraction, retention, expansion, entrepreneurship, infrastructure, quality of life and workforce development by connecting and collaborating with regional, state and national resources. 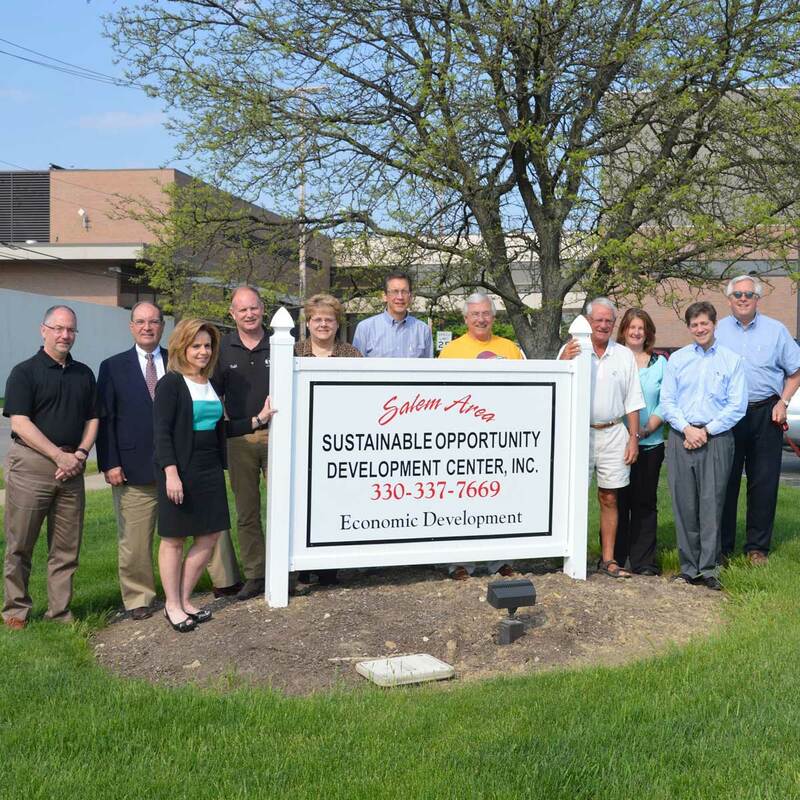 The Sustainable Opportunity Development Center leads the way in micropolitan economics and community development by creating a collaborative environment that reaches outside political boundaries to include local and regional leadership with local input to build a collaborative effort. SOD continually plans for the future by leveraging Local, State and National resources to prepare the community for the next opportunity while remaining focused on supporting a high quality of life for those that choose to call the Salem, Ohio Area home.